If you are unhappy with your smile and are looking for ways to improve the way that your teeth look, full mouth restoration is dedicated to achieving this goal. We here at Ascent Dental Group are committed to providing you with high-quality procedures that work to restore your full mouth so that you can have the confidence and self-esteem that you might have lost. 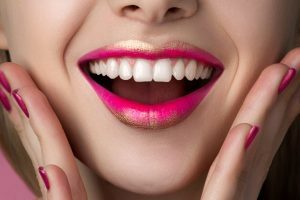 Full mouth restoration involves replacing missing teeth and offering you prosthetics and other cosmetic procedures that will help to obtain and maintain the beauty of your smile. This may be through the use of dentures, implants, crowns and bridge work. We always work with you directly to ensure that you are satisfied with the work and are pleased with the procedures being done. Full mouth restoration refers to rebuilding and/or replacing all of the teeth in a patient’s mouth. Full mouth restoration combines dental esthetics with combinations of restorative dental procedures to improve the health, function, and beauty of the mouth. A customized dental plan is created to restore your oral health and give you the functionality and look your mouth needs and you desire. Who is a good candidate for Full Mouth Restoration? Patients who are unhappy with their current smiles. Patients looking for long-term and affordable options for their dental health and needs. Patients who have lost a good number of teeth based on trauma or decay. Patients with severe tooth decay, or periodontitis on the majority of their teeth and gums. There are several different types of full mouth restorations that are available. In order to best fit your individual needs based on how many teeth are affected, please see one of our highly trained dentists in order to create an individualized treatment plan. If you would like to inquire on information about full mouth restoration, contact us today and one of our helpful staff members will be happy to assist you.